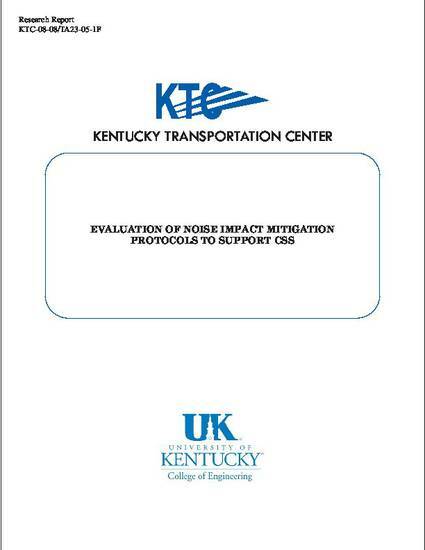 This research project developed and evaluated practical ways of involving the public in context sensitive sound mitigation strategies. The integrated use of photo montage, PowerPoint presentation, linked traffic sound files, and audience response systems demonstrated that significant visual and aural differences could be clearly portrayed and clear preferences could be expressed by citizens and professionals alike, even where the choice menu was quite complex. The contents of this report reflect the views of the authors, who are responsible for the facts and accuracy of the data presented herein. The contents do not necessarily reflect the official views or policies of the University of Kentucky, the Kentucky Transportation Cabinet. This report does not constitute a standard, specification, or regulation. The inclusion of manufacturer names or trade names is for identification purposes only and is not to be considered an endorsement.